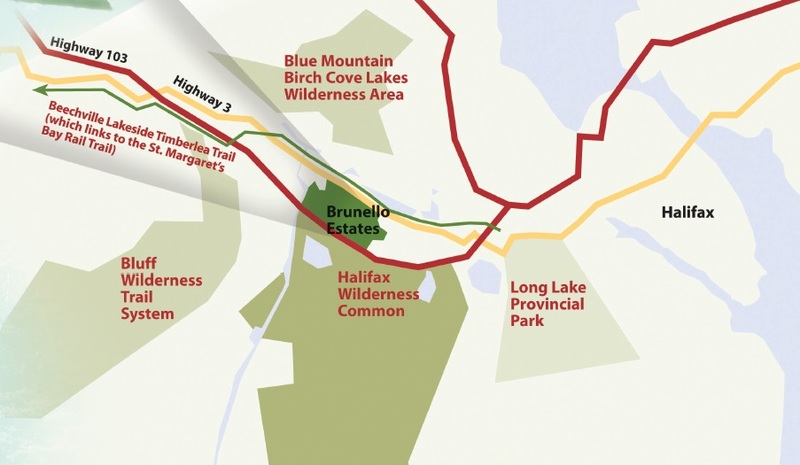 Access to some of Nova Scotia’s best hiking, running and biking trails is easy at Brunello. The Beechville Lakeside Timberlea Trail is accessed from The Links at Brunello in three places across Highway #3. 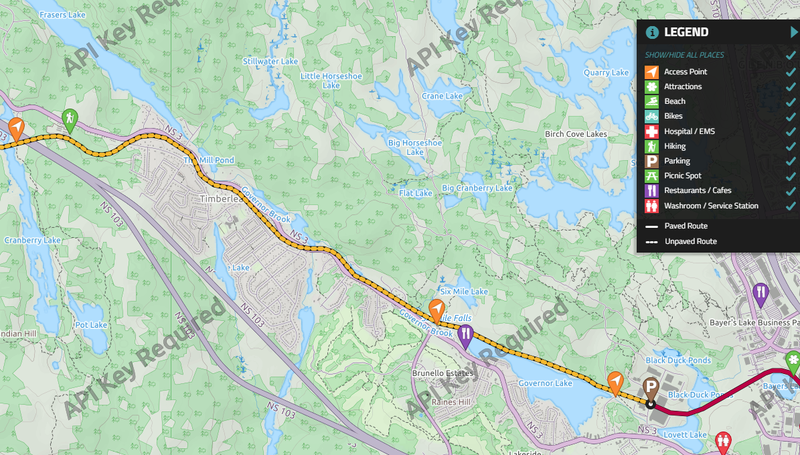 This trail connects to the St. Margaret’s Bay Rail Trail and then connects to the Rum Runners Trail that goes to Lunenburg. The start of the Bluff Wilderness Trail System is only about four kilometers away from The Links at Brunello. In the Bluff Wilderness area, there are about 30 kilometers of wilderness trails, perfect for a day’s hike or overnight wilderness camping. You can truly be away from it all in this spectacular isolated wilderness area. Across the 103 Highway, the outdoor opportunities continue. The Halifax Wilderness Common has 6000 acres of designated wilderness and 200 acres of more developed park. It offers excellent opportunities for biking, swimming, hiking, running, and cross country skiing. Long Lake Provincial Park and the Blue Mountain Birch Cove Lakes Wilderness Area are also nearby. Enjoy the active lifestyle that is The Links at Brunello. Only 15 minutes from downtown, and seconds from the great outdoors. 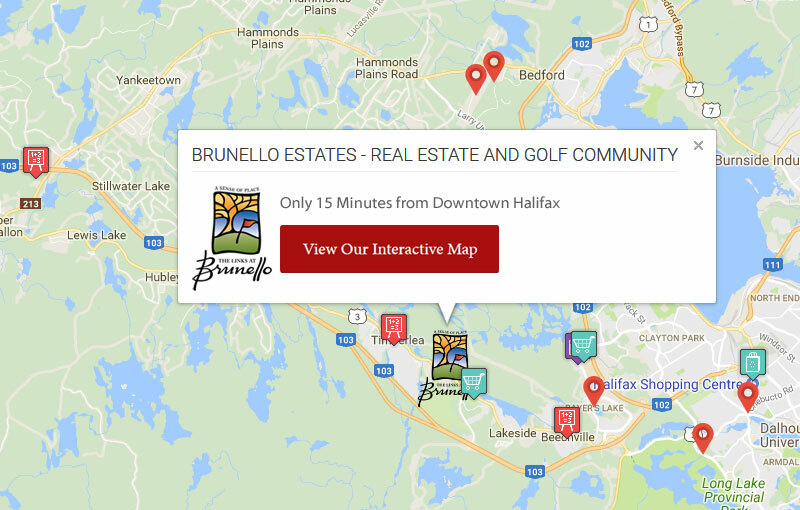 Sign-Up for our eNewsletter to receive updates on The Links at Brunello, speak to a sales agent or request more info.